Mercy Junction Justice and Peace center in Highland Park on Wednesday, May 17, 2017, in Chattanooga, Tenn. The center has been forced to close temporarily after safety concerns were raised about two residents who have formed their own religion. Hamilton County deputies plan to remove two men who have refused to leave a Highland Park community center if a judge issues an eviction order as expected tomorrow morning. 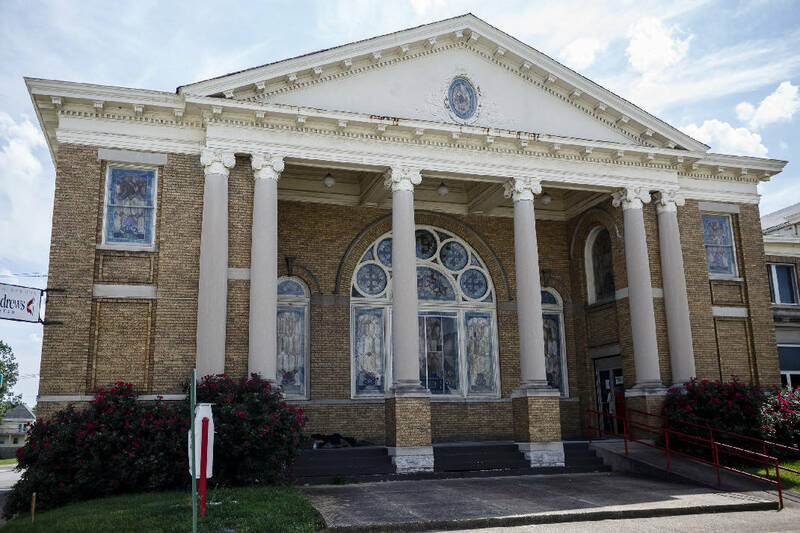 "A captain with the Hamilton County Sheriff's Office has confirmed that as soon as the writ is filed tomorrow, they will remove the Church of Urth from Mercy Junction Justice and Peace Center," director Beth Foster said today. Ryan Holmes and Tyler Short, of the Church of Urth, did not file an appeal by 4 p.m. today in Hamilton County General Sessions Court. Hence, the "writ of possession" will give deputies the legal authority to eject Holmes from the Union Avenue property since his was the only name on the lease. Short can be removed because he was trespassing, said center attorney Robin Flores. "As soon as we get that writ, we're going to execute it," said Captain Ron Parson. "But we're going to follow the law. Everybody's got a right to due process." Mercy Junction's attorney received a court order last week that awards possession of the property back to the center's director and elders. They filed for eviction in May, claiming Holmes violated the terms of a lease agreement by making misogynist comments in person and on Facebook, threatening renters, and representing himself as Mercy Junction, which is owned by the St. Andrews Center. The next step is getting a judge to issue a writ of possession, which attorney Robin Flores said he plans to file at 9 a.m. tomorrow. There could be legal action before then. Foster said police are going to try to serve an arrest warrant this afternoon on Holmes for allegedly opening a piece of mail that a federal inmate in Arizona wrote to one of Mercy Junction's renters. "At the center we haven't received any bills for June in the mail so far, so we suspected they were stealing our mail but had no way to prove it," Foster said. Then came Tuesday, when Holmes posted a picture on Facebook of the letter, Foster said. She notified a local postmaster and called the police, who came to the scene, made a report, and said they would issue a misdemeanor warrant, she said. The center, which rents about 30 spaces to artists, activists and interfaith organizations, has closed its doors to people in need of snacks, toiletries, clothing and other household items, not wanting them expose them to Holmes and Short. Partners also have avoided the center, which relies on their rent money to maintain the 40,000-foot property. "We were in a very vulnerable place already," Foster explained. "We'd been grant-funded for five years. We were supposed to build up an independent revenue stream, and it was the rent our building partners paid. Once that fell off, we knew there was no way to pay our staff, so we laid everybody off May 15." Foster said the center wanted to avoid additional expense while working toward a resolution with Holmes and Short. They expected it would take a week or two. "But now it's been 43 days and we've lost 53 percent of our revenue," she said. 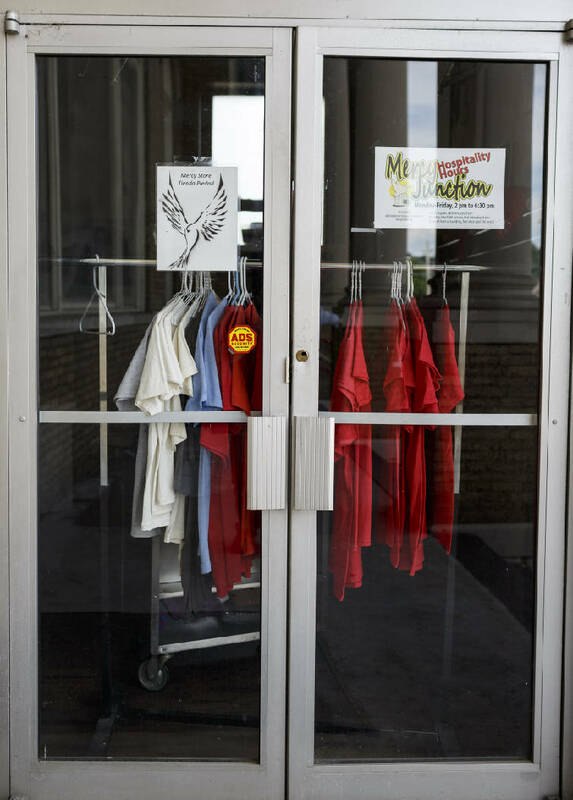 A clothing rack blocks a door to Mercy Junction Justice and Peace center in Highland Park on Wednesday, May 17, 2017, in Chattanooga, Tenn. The center has been forced to close temporarily after safety concerns were raised about two residents who have formed their own religion. Holmes, who communicated with the Times Free Press via Facebook, has since blocked access to his profile. In an open letter he posted Tuesday, Short said he developed the concept of "Urth" while traveling and writing in South America in 2015. When he returned to Red Bank, he met Holmes, of Cleveland, and they collaborated for the next several months until pitching their idea to Mercy Junction in December 2016. The relationship soured after "there was an obvious shift in Ryan," Short wrote. "It happened the day after I left to visit my family in Pontiac, MI." Holmes, who had never posted much on Facebook, began manically writing messages claiming he was the Archangel Michael and that all music, art and literature were about him. "It was a spectacle. People could not look away, and most had no idea what to think," Short wrote. After several expressed concern for his mental health, many called the police, and Holmes' parents requested he submit to a psychiatric evaluation. But over that weekend, police struggled to get an evaluator to the scene, Short wrote. "Not knowing what to do, backup was called. A total of five police officers showed up one by one and discussed possibilities," Short wrote. "The conversation then quickly started changing direction from locating a psychiatric to removing Ryan from our sanctuary." Holmes walked outside and asked the police to leave, saying no crimes had been committed. "A couple of hours later, a psychiatrist finally showed up and gave him an evaluation," Short wrote. "He passed." This is a developing story. Please check back later for more updates. Civilization has been rapidly expanding its capabilities of manipulating the physical world. We have quickly advanced through the Industrial Revolution, the Machine Age, the Space Age, and now the Technological Revolution/ Information Age. Although we are more capable now than in any other time in written history to make life wonderful for everyone, we decide instead to continue to damage the planet and to allow our brothers and sisters across the world to suffer. Despite the massive abundance we have created on this planet, there are a few with unimaginable wealth and a lot who are not even getting their basic needs met. All of these powerful tools we have developed are neutral in the hands of men. They can be used to empower us or enslave us, for us or against us. As a human being alive at this time, you get the unique opportunity to play a role in choosing and forging the direction of civilization in arguably its most crucial moment. We are at the precipice of change. You can choose to embrace the Spiritual Revolution that is upon us and unite globally for the highest good of all. We can choose to evolve our outdated systems and co-create economic and social systems that serve us all. Urth is the collective utopian future vision of a transcendent civilization sharing love and abundance. The Church of Urth is a non filed association of churches which functions as a global vessel to manifest that vision of Urth. This universal platform gives people the opportunity to make a stand as one that the fate of our species is more important than being right. When we are able to stop trying to dominate people and start collaborating, stop trying to enslave people and start trying to love and empower them, then anything becomes possible. That is Urth to me. I spent years searching for purpose before this concept found me. I tried roles as a healer, a teacher, and an artist/ entertainer before deciding to sell my belongings to travel. I thought, on the road I will essentially be free from financial and social obligations and be able to focus on experience and growth. First the US, then South America, then I wanted to travel the world. About November 2015, I began having visions/ epiphanies of Urth. I spent most of the last 3 months in South America in my Lima, Peru apartment writing and clarifying my vision. I began searching for a team to manifest this vision with. A long string of strange synchronicities lead me back to where I started in Red Bank, TN. After 7 months total in South America, I flew from Lima to Chattanooga on February 1, 2016 to meet a community that I believed would work with me to change the world. Within that community I met Ryan Holmes, who had the same vision of Urth during the same month of November 2015 in Cleveland. That community ended up dissolving, but Ryan and I decided to team up, rebrand and move forward as co-founders of Urth. He remains to be the only person I have met in my life who is as dedicated as I am to moving Urth forward. We spent months connecting and clarifying our vision and building a local network before having our first public meetings in December 2016. Shortly after, we found the first Urth office in Mercy Junction which would give us the space that we needed to operate. In my experience, there was an obvious shift in Ryan. It happened the day after I left to visit my family in Pontiac, MI. I was enjoying my first day of 5 with with my mother, sister and brother when Ryan started texting me telling me wild stories. Ryan and I talked on the phone which led to me renting a car 36 hours later and driving 12 hours back to Chattanooga. Ryan was speaking prophetically about the future and had an energy that others later described to me as manic. He started blowing up Facebook. I've known Ryan over a year and he hardly posted on Facebook previous to when this started. He was posting very frequently and very loud. He began telling people that he was a host of characters, including but not limited to, God, Jesus, Shiva, Harry Potter, Joan of Arc, Arch Angel Michael, a Jedi Knight, ect. He said that all music, art, literature and stories were about him. He said all kinds of things. And when people tried to troll him or control his speech, he just mirrored and flipped it back onto them. It was a spectacle. People could not look away, and most had no idea what to think. Several people expressed concern for Ryan's mental health. They thought maybe he had lost his mind. Many became frightened and called the police. Ryan's parents and Mercy Junction requested Ryan to submit to a psychiatric evaluation. He agreed, so long as the evaluator came to our office at St. Andrews Center. The following morning Beth Foster, the Mercy Junction director at St. Andrews, knocked on our office door and asked if we would join her outside to talk while she smoked. We joined her outside and she asked Ryan if he would be willing to leave the church and go to a hospital for an evaluation that day. He declined, and said that he felt safer in the church than the hospital. Several minutes later, a the first cop arrived as the three of us were talking in the back parking lot. Beth turned to me and said, ''I feel like Judas right now''. Ryan asked the cops why they had shown up 2 days in a row. The cop said he had received a call. Ryan went back into our sanctuary. I stayed in the back parking lot with Beth and the first cop. I listened to everything as it developed. I learned that a crisis psych team had been called to evaluate Ryan. A policeman typically will stand by and lend support to the crisis psych team if needed. They were struggling to get any psychiatrist at all to show up on a Saturday. Not knowing what to do, back up was called. A total of 5 police officers showed up one by one and discussed possibilities. The conversation then quickly started changing direction from locating a psychiatrist to removing Ryan from our sanctuary by force and taking him to a psychiatrist. Beth agreed with them. They asked me questions about if Ryan had any weapons and they started to strategize how they would take him. Then, Ryan came out into the parking lot and started talking to Beth and the police. That is the video I posted. He tells them there has been no crime and asks the cops to leave. Shortly after they did. A couple hours later, a psychiatrist finally showed up and gave Ryan an evaluation. He passed. I posted that video as well. Mercy Junction continued anyways. They told him he couldn't be in a leadership position because he was a priviledge white man. They told Ryan he was evicted and asked him to leave the building immediately. They tried to force him to leave Mercy Junction and he refused. They decided to take it to court. First, they claimed it was a criminal case and tried to get Ryan charged with making threats. No threats were made and no laws were broken, so the case was quickly dropped. Then Mercy Junction went to civil court and filed for eviction based on a subjective claim that Ryan had violated their values statement within the lease. He was summoned to court on June 5. He didn't go. As of now, he has received no new information on the case. During this process, we have experienced a barrage of attacks from the elders at Mercy Junction. They have used their words to spread rumors about us and call us names like white supremacist. As they slandered us, I asked them to leave us alone and go back to operating Mercy Junction. I suggested that instead of obsessing over us, they should open back up and feed people. They remained closed down anyways and decided to harass us online until we blocked them. They have also tried to illegally cut us off from the building. Unless you have a legal eviction in place, it is illegal to try and stop a tenant from using the space and services provided through the lease. An old man tried to come and scare Ryan and threatened to fight him so that he could change the locks on us. They have removed the key that allowed us to use the 2nd community kitchen so that we don't have access. The community kitchen that we supplied had our lock removed and replaced by another. At some point that door was broken, and we are able to access it again. Unfortunately, all of our things in the kitchen were thrown into the adjacent room and the water was shut off from the sink. And now the bathroom nearest to us has been locked. I have been advised by several friends that I should file suits both for libel/ slander suits and also for trying to cut us off from services in our lease. This story has been in the local news several times over the last month. CTFP has done 4 pieces, and News Channel 9 and 12 have done a piece or 2 as well. CTFP has not spoken with us at all, and we did 10 minute video interviews with News Channel 9 and 12. It has been disappointing seeing the articles come out. Not only have they made no effort to be objective and capture both sides of the story, but they don't even care to seem about ratings. We gave them juicy content in those 2 videos, yet they did not utilize any of the footage except for a single still image. All of the news articles read like propaganda biased for Mercy Junction and against us. Here are a few examples from the latest article from CTFP. The first sentence claimed Mercy Junction as ''one of the holiest places in Chattanooga.'' They go on for several paragraphs about how wonderful Mercy Junction is. The first time we are mentioned, they say this, ''Several months ago, two men — Ryan Holmes and Tyler Short — asked about leasing a space in St. Andrew's under the guise of an interfaith ministry.'' They have never met us before and have no understanding of Urth. Yet they are telling the reader up front that Mercy Junction is one of the holiest places in Chattanooga, and that we are falsely masquerading to deceive them. How devious. ''The pair have holed up inside Mercy Junction and won't leave.'' We've held a lease here in good standing since December. We aren't 'holed up' here, its our sanctuary. But the end of the article is the most wacky and entertaining. This is so absurd and over the top, it feels more like fiction than real life. We found out that Urth was a god in Norse mythology from the Mercy Junction elders as they were harassing us about being white supremacist. We wanted to respell the name of the planet from Ea to a U, Urth. In romantic languages, the E is masculine and the A is feminine. The U symbolizes the union of male and female energy. Its a symbol for unity, thats what we meant by it. Norse gods are also cool, and made up conspiracy theories about Urth can be lots of fun. But to read on the news that there are investigators considering whether we are connected to some large mystery sinister white supremacist group and came here to infiltrate Mercy Junction, without any support for the claim... What is more bewildering than the fact that this was published by CTFP is that many people read these articles and call us the crazy ones!! This is a developing story and is being updated as updates become available. 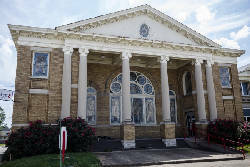 It was updated to reflect that the Church of Urth did not file an appeal to the writ of possession and that Holmes was the only name on the lease, according to the center's attorney Robin Flores.